As an authorized dealer for Garaventa, Savaria, Federal Elevator, Cambridge, Stannah and Global Tardif, we can help you find the perfect match for your needs. Whether it is installation, maintenance or service you require, we have a solution for you. Contact us to find out more! 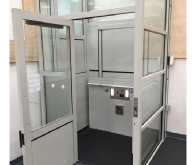 LULA elevators are designed to service low rise and low occupancy commercial spaces. 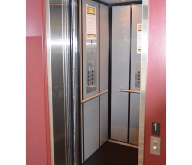 It is fully automatic and is very similar in look and feel to larger commercial elevators. Vertical Platform Lifts are designed to provide cost-effective access into or within private homes or public buildings. 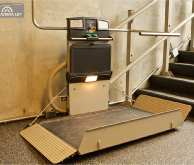 This innovative equipment provides accessibility for people in wheelchairs and those who have difficulty using stairs. Whether you live in a classic or contemporary home, or if you have a straight or curved staircase, we will help find the right chair for you. 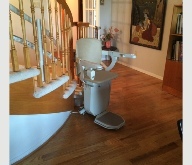 Our products include stair lifts, home elevators, incline and vertical platform lifts and more!